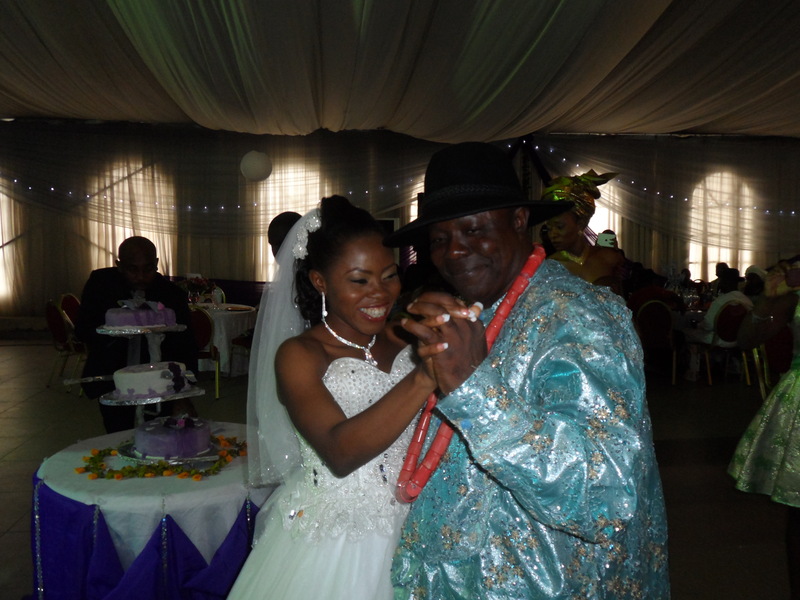 On the 27th of October, 2012, Anne Uba wedded Godwin Omoba, in a grand ceremony organised by their families. She is the first daughter of Elder Donatus Mrohwobor Uba, who is a friend and benefactor of Fair Life Africa Foundation. Uba runs Strength Security Ltd and Strength Logistics Ltd, two companies that are leading in their field, providing excellent security services and trained/qualified staff to meet the human resource needs of developing organisations. Strength Security has been a sponsor to Fair Life Africa since October 2011, and continues to lend its support to the initiative. The traditional wedding held at the Uba residence in Ajah, on the 26th of October, and was a humble but native celebration with vibrant colours and arousing smells. Olorogun O’tega Emerhor, Chairman of Fair Life Africa’s board, was present as the Chairman for the occasion. The church wedding was at the Redeemed Christian Church of God, in Ajah and was followed by a wonderful reception at The Event Place, Ajah. The colours were silver and purple, and the grand hall was tastefully decorated for a warm ambiance. Chief (Mrs) Rita Emerhor coordinated the cutting of the cake to the spelling of UNITY, which was to signify the strength of Anne and Godwin’s union. Fair Life Africa Foundation is proud to celebrate with the family, particularly Anne and Godwin! We wish them a prosperous marriage, and wisdom to overcome any challenges that life presents, and utilise all the opportunities too! God bless you and keep you united always!